Two of today’s most renowned animal welfare advocates, Jane Goodall and Azzedine Downes, will join Fast Company for a live chat about the current state of our most endangered species. Join us September 22nd at 1 p.m. ET, and get your questions in now. Two of today’s most renowned animal welfare advocates, Dr. Jane Goodall and Azzedine Downes, will join Fast Company senior editor Erin Schulte for a live chat about the current state of our most endangered species and how animal welfare advocacy has evolved in recent decades. Dr. Goodall is responsible for the seminal discovery at Gombe National Park in the 1960s that primates create and use tools—previously thought to be exclusive to humans. Downes and the IFAW use everything from drones to social media to pinpoint poachers and engage the world in conversation about animals. Through their tireless efforts to give animals a voice and reverse damaging human behavior toward them, Dr. Goodall and Downes are responsible for much of our modern understanding of the animals we share the planet with. Join us for a conversation about the current state of our most endangered species and how animal welfare advocacy has evolved in recent decades. The chat will begin at 1 p.m. ET on September 22nd--just in time for #WorldRhinoDay. Get your questions in now using the 'make a comment' box below. Fast CompanySix questions for Azzedine Downes, CEO of the International Fund for Animal Welfare. Fast CompanyFeel free to ship your prized elephant head in the cargo hold. Jane Goodall On The Amazing Story Of "Chimpanzee"
Co.CreateLegendary chimpanzee researcher Jane Goodall weighs in on the extraordinary footage captured for Disney documentary, "Chimpanzee." Fast CompanyHere's how you can join the pro-conservation conversation. It's #WorldRhinoDay and our live chat with Dr. Jane Goodall and Azzedine Downes of the International Fund for Animal Welfare starts in in just a few hours. 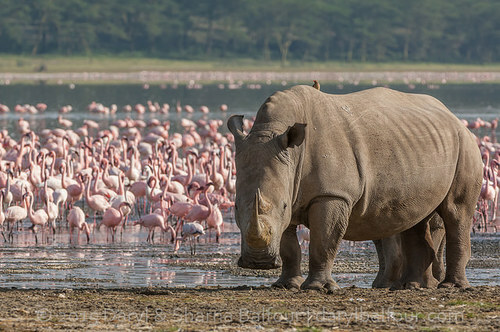 In the meantime, check out these amazing images, by acclaimed wildlife photographers Daryl and Sharna Balfour, of rhinos frolicking in the wild. Hi, I'm Erin Schulte, and I'm a senior editor here at Fast Company. 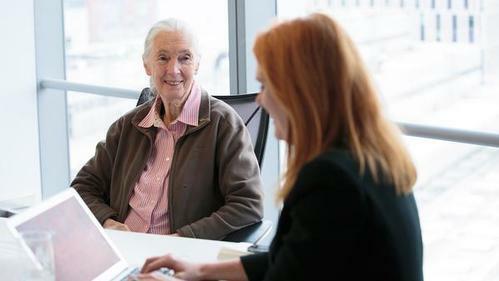 We are thrilled today to be hosting a live chat with the famed chimpanzee researcher and one of the world's most prominent conservationists and animal advocates, Dr. Jane Goodall. 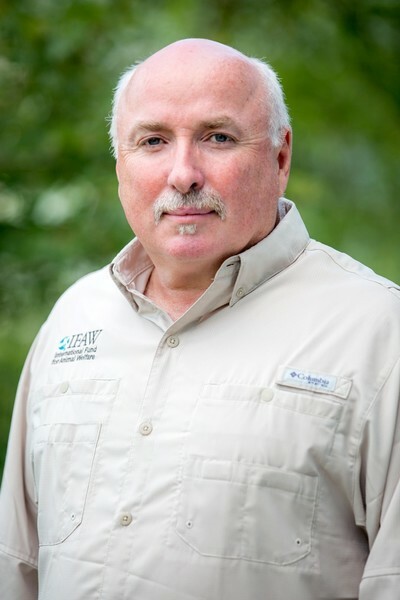 Also joining us is Azzedine Downes, the president and CEO of the International Fund for Animal Welfare; in 2015, he was named one of Fast Company's 100 Most Creative People in Business, for his innovative use of drones and satellites to thwart poaching. Very happy to be here everyone, thank you so much for inviting me! On #WorldRhinoDay, it's doubtful there are two people more capable of addressing the current state of endangered animals, conservation efforts, how technology does (or doesn't!) help the cause--and why we shouldn't lose hope. Dr. Jane and Azzedine, thank you so much for joining us today. We got out of the New York traffic! We're ready. We have an unprecedented number of reader questions, so I'm going to dive right into those so we can cover as much ground as possible. Many of the questions were in some way about the role technology plays both in raising awareness and directly impacting how we protect endangered and at-risk animals. The July killing of Cecil the lion in Zimbabwe seems to have brought this to the forefront. So let's start there. There was a huge outrage over the killing of Cecil the Lion, seemingly fueled by the social Web in a way that just wasn't possible before. Do you see social media having a real, on-the-ground impact on conservation and animal protection efforts at this point, or are people just rage-tweeting and moving on? While we wait for their answers, you can check out Dr. Jane's response to the killing of Cecil the Lion--and learn about that terrible ripple effects it had on the pride. I think actually that the silver lining resulting from the extremely unpleasant killing of Cecil has made a very big difference. It's raised awareness. People have been talking about it and shocked by it. One important outcome is that many of the major airlines have decided to ban carrying trophies from endangered species. And I think the important point to make here, which I feel very strongly about, is the Minnesota dentist said he would never have "taken" Cecil if he'd known he had a name. Does he think it makes any difference to the lion whether we have given him a name or not? And in fact the killing of Cecil is no worse than the killing of other lions, except that he was not killed instantly. 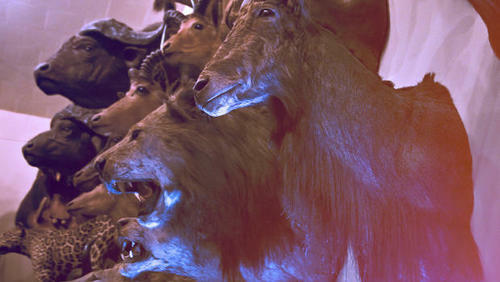 many airlines banning the transport of animal trophies. animals – which is already the case with many state bans on ivory. It's extremely important that people remember to translate their social media activity into action. How important is tourism in enabling and funding conservation in Africa? And how important are private game reserves and private philanthropy in these efforts? Is there something problematic about creating these private conservation tracts, accessible only to very wealthy individuals? Tourism is extremely important, but what I've just learned on my trip to a number of conservancies in Kenya, is that tourism alone is not sufficient when tourism is weak as it is now...due to security concerns. So private conservancies are looking for ways to supplement income for their communities. There are a number of things that conservancies can do to attract local visitors, in fact, with security as it is in many parts of Africa, people are realizing that they need to turn to visitors from the capital cities as opposed to those from the US and Europe. I would say that tourism, eco-tourism, responsibly done, is very important. If it's responsible, it doesn't take too many people into the wild habitats, which is disturbing for the animals. And in addition to that, it provides some income for the villagers living around the wildlife area. And it's really, really important to improve the livelihoods of people living around these wilderness areas. That's what I mean when I talk about responsible tourism. 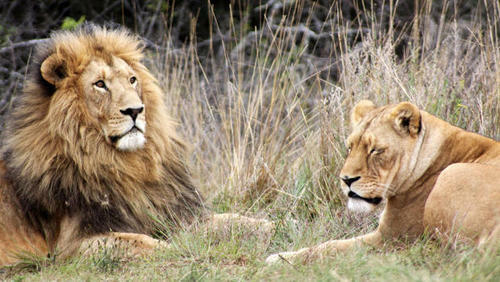 The private game reserves, I think they're very important too, and they are not all just for the very wealthy. Some of them offer opportunities for local school children to actually go and see animals. And in a situation where we are losing more and more and more of the natural habitat all the time, any area that can be saved is important. But it's only really successful if conservation areas can be linked with corridors that enable wildlife to move from one to another. How are people able to tell responsible ecotourism from irresponsible ecotourism? On the question of eco-tourism it's really important to find operators who take into consideration animal welfare concerns, in other words, the health and well-being of individual animals instead of simply focusing on the number of animals available to view. It's easy enough to do by using online sites and checking with people who have actually visited the eco-tourism sites previously. The attitudes of guides, drivers and management makes a huge difference in the experience. What's the best thing for people to do to help...not the easiest...but the action(s) that will truly make a difference? I'd like to share this response with the attendees at the upcoming Jackson Hole Wildlife Film Festival where I'll be participating in panels on social impact and transmedia. People need to translate their activity on social media into real advocacy. Examples include contacting their Congressional representatives to ensure they understand that there is a real movement for the protection of animals and their well-being. Many politicians are under the impression that the hunting lobbies are simply too powerful to question but we've seen in cases like Cecil the lion, that public pressure can in fact cause change. Individual animals matters and individual voices matter. I can add that I think it's very, very important that we sensitize young people as early as possible to some of these issues. The JGI Roots & Shoots program is now in 140 countries. Some of these young people have rich parents, parents in the corporate world, parents who can really make a difference out in Africa, on the ground. So the answer, what can you do, find out about that program or other similar ones. That's a program that we are collaborating with IFAW on. Spread the word. It's for young people from preschool through university. It's about making the world a better place for people, other animals, and the environment. And finally I think everybody can make a difference. Everybody can do something. You may think it's easy or small, but if millions of people do it, it can really make a difference. When it comes to poaching, where should we be putting our attention (and money)? On stemming the flow of illegal wildlife products at the source—or on stopping the demand for them in countries like China and Vietnam? If possible, I would love to be able to reach Jane to let her know that she is the reason I admire all animals big and small. I am positive that this is true for millions of people. Now we have this age of social media. Put out some of the truly horrific things we have seen recently. Videos like this, of the awful grizzly bear hunt, should be posted everywhere. Our strategy has been three-fold, to concentrate on the source countries, the transit countries and the end-user countries all at the same time. So some believe that all the resources should go into reducing demand in Asia, but I believe that we would simply run out of time to save the lives of the animals in Africa if we were to wait for people to stop buying products in such volume. This is critical work, but it can't be done in a vacuum. The most important thing we can do is disrupt the networks that kill and transport animal products and live animals. Our work has focused on building networks to destroy illegal wildlife networks. Joining a little late, but a quick review of conversations has been a real eye opener for me. I NEVER realize so much animal cruelty was still happening in the world. I believe that it is such an appalling situation, that we all need to address as many different aspects of the problem as possible. We certainly cannot wait to reduce the demand in the receiving countries, but we can work to educate people there, at the same time trying to improve the situation in the range countries. One aspect, very important, that we do need money for, is for better pay and condition for the rangers, those people out on the front lines. Very often underpaid, in some countries, when they're killed in the line of duty, their family is then left destitute. They have to move out of their house to make room for the next ranger. An organization that's really working on this is the Thin Green Line (www.thingreenline.org.au). We have our Roots & Shoots network throughout China, Hong Kong, Singapore, and starting in Vietnam, working on educating young people, so that if we're successful at protecting the animals in Africa and Asia, there will not be a return to killing as there was after the last successful operation on poaching. Poaching in Africa became a cartel-like activity about 6 or 7 years ago in Africa. The huge, huge onslaught on elephants and rhinos has really become horrendous in the last 6 to 7 years. Particularly in Tanzania. A huge problem to overcome is the high level of corruption in many of these countries from which the ivory, rhino horn, tiger parts, etc, are being sent. How does Africa’s booming population impact conservation efforts? And how do you make a case for putting money toward wildlife when so many people are living below the poverty line? In other words: how does conservation benefit locals? While population growth is a concern, there are still vast tracts of land available to wildlife if there is planning for the communities that live amongst wildlife. The days of wildlife management excluding the needs of local communities are over. In many parts of Africa, wildlife is living outside of the boundaries of national parks. For many many years, promises were made to communities that they would benefit from the presence of wildlife. In most cases, those promises were not kept. I've found that many communities are willing to make some sacrifices to accommodate wildlife, but in return, they do want education for their children and healthcare for their families. Eco-planning for critical habitat such as corridors for elephant migration must be taken into consideration and include food security, sharing of water resources, and infrastructure that makes sense for animals and people. It was in 1994 that I flew over the whole of the tiny Gombe National Park. I was shocked to see the extent of deforestation outside. What had been forest was totally bare hills. More people living there than the land could support. Too poor to buy food from elsewhere. That's when I realized there was no way we could save the chimpanzees unless we could improve the standard of living for the people in the area. JGI's program, TACARE, addresses the needs of the people in the way they felt was most appropriate. And most important was ways of farming without cutting down more trees, and micro-credit programs for women, and family planning information. And keeping girls in school after puberty. A program which began in 12 villages is now in 52. People are much better off. The chimpanzees have three times more forest than they had before the program began. JGI has similar programs in six African countries—chimp range countries. It's absolutely correct that we cannot expect to preserve animals while people are living in deadly poverty. A very important aspect of all this is educating the local people and the children so that they actually want to conserve wildlife. My 5-year-old daughter is obsessed with animals and talks a lot about wanting to help animals in trouble. This seems common among children her age, and I know it was the same way for you, Jane, as a child. Why do you think children lose this interest over time, and why was it different for you? And if you want to know more, check the Lion Guardian Program. When I was in Amboseli, there was a 12-year-old boy, who during an event celebrating 66 student scholarships funded by IFAW, performed a 'slam poetry' session. His words were about how he never would have imagined that his decision to protect the life of an elephant would send him to school and offer him a new future. One of the issues we address in Roots & Shoots (https://www.rootsandshoots.org/) is this very question of how to keep young people involved and motivated. To keep their interest in animals alive. This is partly education, but it's also creating situations where older children can see and interact with animals. One of the reasons it was different for me is that there was no technology. To learn about animals, you read books. Occasionally there was a film. It's very different to become involved by looking at something on a silly little cellphone, than actually being out and seeing. It's a huge problem today that our young people are increasingly divorced from nature. Fortunately there are movements to try and correct that and get more, and to get more children out into the natural world, or bring the natural world into the classroom. IFAW's Animal Action Education program specifically targets young people 5-15 because studies show they are more empathetic at that age. Then it's up to the parents to make sure they're connected to nature. On a continent where technology is increasingly becoming a part of the culture, it's important to maintain the connection to nature. Dr. Goodall-- In the US, hundreds of chimpanzees are still kept as pets, locked in decrepit roadside zoos and confined in laboratories. What implications do discoveries about chimpanzees' rich cognitive and emotional lives have on humans' treatment of them? It's absolutely extraordinary to me that it is still legal to buy a chimpanzee pet in the United States and the UK and in many parts of Europe. The information coming in from studies of chimps in the wild and in captivity shows that they have a highly developed intellect. They share emotions like happiness, sadness, fear, despair, anger, etc. They have distinct personalities as we do. Social bonds between family members are strong, supportive, and can last throughout life. Physical contact is very, very important within the society, particularly social grooming. There is a long childhood during which the child learns about many aspects of chimp behavior, including tool using and tool making. All chimpanzees sold as pets, chimpanzees appearing in entertainment, in circuses, have been taken from their mothers and usually trained with cruel methods. 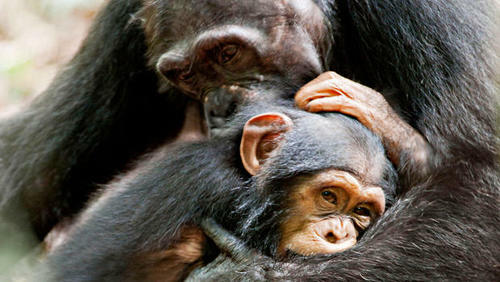 Pet chimpanzees can become very aggressive at age 6 or 7 and can physically harm their owners. It is very difficult to then introduce them into a chimpanzee group because they don't know how to behave like a chimpanzee. Chimpanzees are not suitable pets and should not be used in entertainment, and we need laws prohibiting this. Hello! This is a question for Azzedine. I'm curious about the use of drones and satellites to identify poachers. Have you found these to be a deterrent? Too often we get caught up thinking that technology is the single answer. It is really just one (very critical) tool. Our project – called tenBoma is looking to use the most effective technology solutions, as well as human information networks and analysis we have learned from counter-terror operations to stop poaching before it happens. The human network is what is key, the technology is only a tool. The willingness to share and act on intelligence has already begun to make a difference. Tragedies like the recent killing of Cecil the Lion can be galvanizing for a cause, but if there are TOO many sad stories, people will turn away or think the effort is too futile to bother with. How do you as leaders walk that line between urgency and optimism? And how do you both stay so optimistic? Everywhere I travel, I meet people who are willing to make a personal sacrifice to protect the lives of animals. Even when it seems as though, it's not in their best interest. We talked earlier about communities benefitting from wildlife, but I've often encountered people who have taken action on their own out of a love for the landscape and for the animals that exist within it. 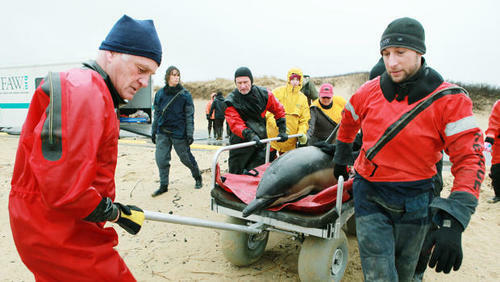 They are grateful for the help that we provide, but they would have taken action without it. For me, it's always inspiring to meet people who take action simply because they believe it's the right thing to do. That's what gives me hope for the future. Every day the media puts out all the stories of doom and gloom. It's always about bad things. So the fact is that as I'm traveling 300 days a year around the world, I'm meeting so many people doing amazing things, hearing about so many successful projects, and there's still time for us to change things before it's too late, if we get together and take action. Which is where social media can play a very important part in sharing the good news. And in fact my silly little joke: I'm starting a weekly article on my brand new website which will be called Jane Good-all's All-good News: Stories of Hope. Jane has also addressed how she stays optimistic on this page of her website. Since Roots & Shoots is in 140 counties, everywhere I go there are young people wanting to tell "Dr. Jane" what they've been doing to help animals and the environment, and the human community. Unfortunately, we are out of time. I want to thank Dr. Jane and Azzedine for being here today and speaking with us. 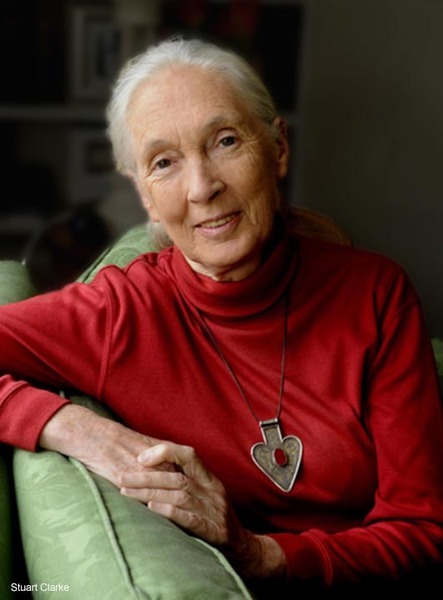 If you'd like to take action today to help animals around the world, you can donate to the Jane Goodall Institute here. Donations are used to curb deforestation in Africa, rescue orphaned chimps confiscated from poachers, and support communities in the Congo Basin. You can also donate to the International Fund for Animal Welfare, which protects and supports endangered species, campaigns against animal cruelty, rescues neglected or abused dogs and cats, and advocates for the protection of wildlife and habitats in more than 40 countries. Jane has an interesting thing to say about zoos, which I know many of you are interested in hearing about. Zoos are no good for elephants, whales, dolphins, wolves, bears. But some animals—oddly enough chimpanzees—with the right enclosures and the right group, often they’re a lot better off and happier than in many parts of Africa. Females can have a hard life. They’re picked on, babies killed. Whereas in a zoo, each individual is cared for. There's increasing pressure on zoos to meaningfully participate and support animal welfare and conservation projects in different parts of the world. One thing I think is important: there is this idea that to be wild is bliss. But unless you have places that are really well protected, then you have animals living in fear, and it's not bliss at all. Thanks, everyone, for tuning in! And thank you to Dr. Goodall and Azzedine for joining us. 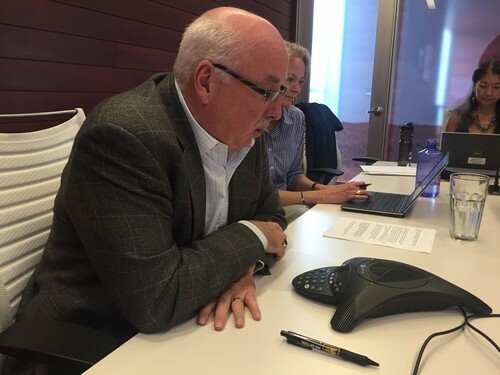 IFAW CEO Azzedine Downes answering questions during the Fast Company Q&A with Dr. Jane Goodall. One final thing: if you would like to hear Dr. Jane speak in person, she has a number of upcoming lectures across the United States; you can find her speaking schedule here.